At length they stirred and... began to search for anything that would give them tidings of Balin's fate, or show what had become of his folk. There were many recesses cut in the rock of the walls, and in... one there lay the remains of a book. 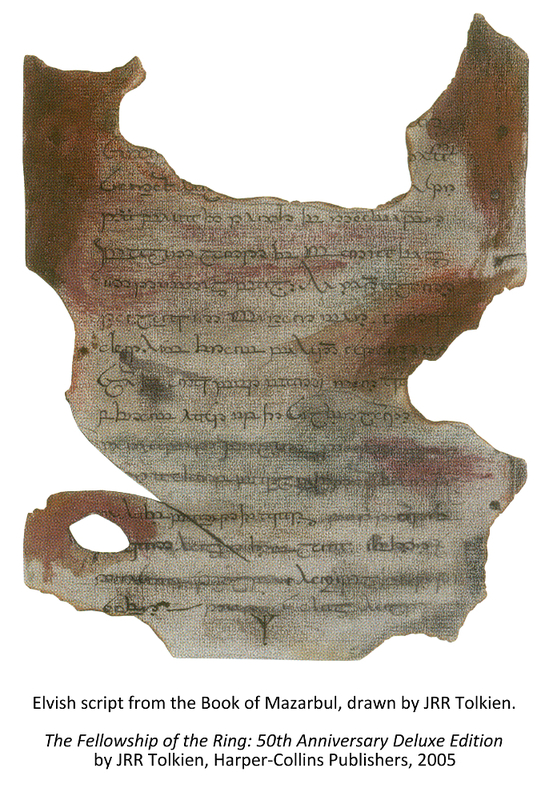 It had been slashed and stabbed and partly burned, and it was so stained with black and other dark marks like old blood that little of it could be read. 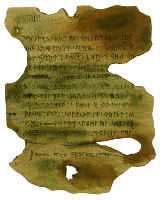 Gandalf lifted it carefully, but the leaves crackled and broke as he laid it on the slab.... Frodo and Gimli... could see, as he gingerly turned the leaves, that they were written by many different hands, in runes, both of Moria and of Dale, and here and there in Elvish script. 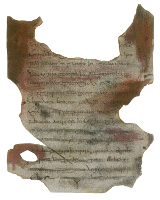 Tolkien's rendering of annals from the damaged Book of Mazarbul. At last Gandalf looked up. 'It seems to be a record of the fortunes of Balin's folk,' he said. 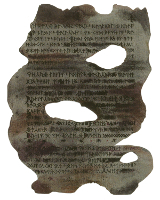 'I guess that it began with their coming to Dimrill Dale nigh on thirty years ago: the pages seem to have numbers referring to the years after their arrival. The top page is marked one - three, so at least two are missing from the beginning. Listen to this! 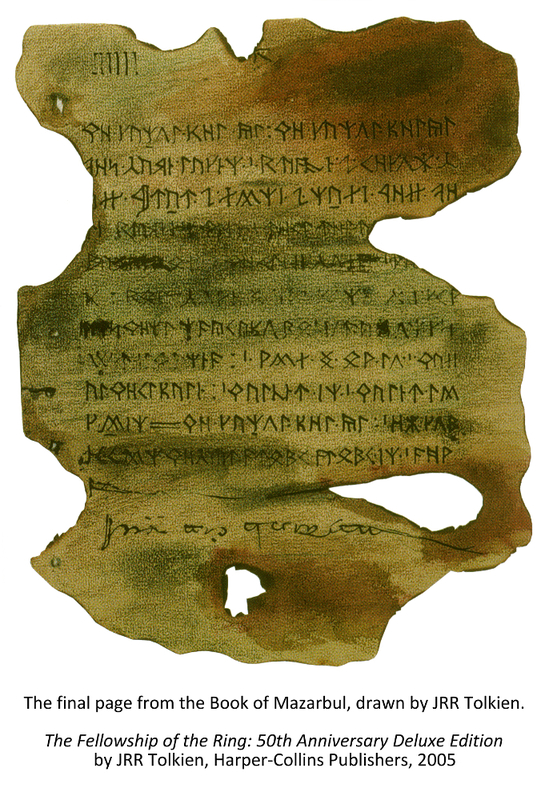 Book of Mazarbul: Elvish script. 'I fear he had ill tidings to record in a fair hand,' said Gandalf. 'The first clear word is sorrow, but the rest of the line is lost, unless it ends in estre. Yes, it must be yestre followed by day being the tenth of novembre Balin lord of Moria fell in Dimrill Dale. He went alone to look in Mirror mere. an orc shot him from behind a stone. we slew the orc, but many more... up from east up the Silverlode. The remainder of the page is so blurred that I can hardly make anything out, but I think I can read we have barred the gates, and then can hold them long if, and then perhaps horrible and suffer. Poor Balin! He seems to have kept the title that he took for less than five years. I wonder what happened afterwards; but there is no time to puzzle out the last few pages. Here is the last page of all.' He paused and sighed. 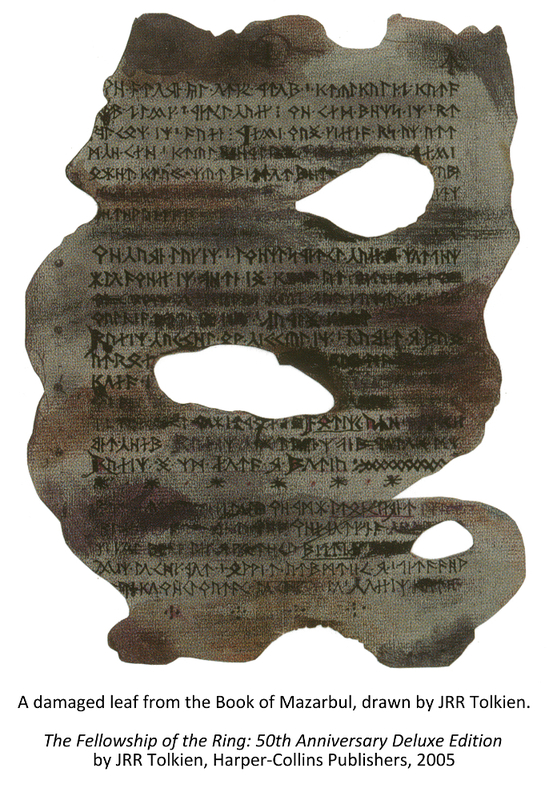 Book of Mazarbul: the last page.